I am very excited to be included in the Print and Pattern Geometric book by Marie Perkins of Print and Pattern Blog. I received my copy this weekend. Tiger Print shapes as pattern competition winner. 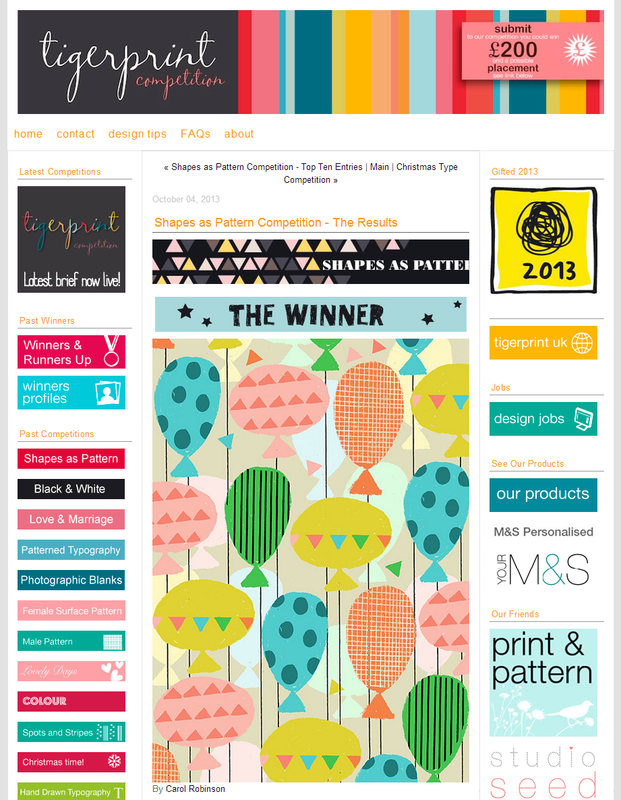 I'm really happy to say that my balloon design won the recent Tiger Print shapes as pattern competition.